The number of days left that I can update this blog is getting limited. Farewells are sad so I couldn’t bring myself to update ameblo-san very often. To everyone who have always waited for my post, I am sorry. But my love for all of my fans grows day by day! 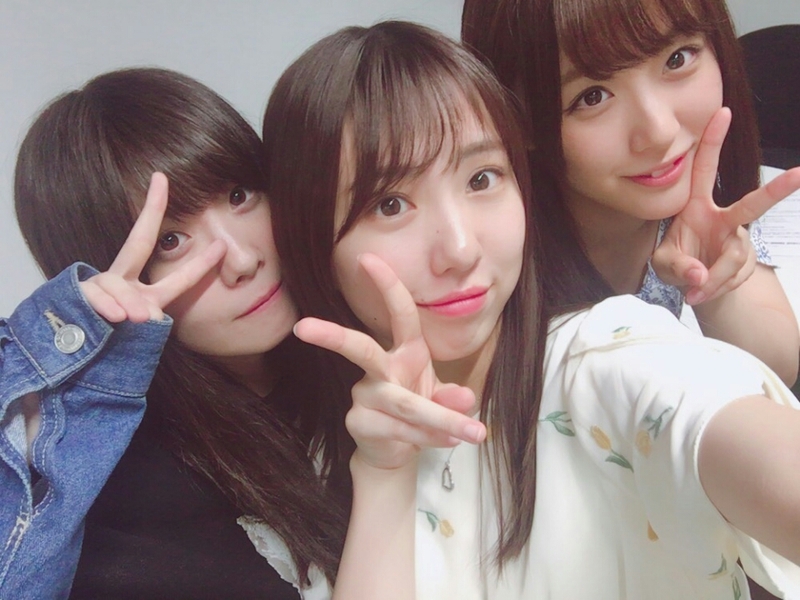 And now, with only a few Tani ameblo’s remaining! Although this will be long, please read it!!! Yesterday I appeared in 「General Election Performance ~ First Off, Thank You! The Discussion Starts After That~」. I was really happy to be able to stand on this stage. Once again, to all of Tani’s fan that voted for me, thank you! Thank you very much. There are many deep things that I want to write about, so what should I write first…! First! Will be about that! The MC project that I participated in! In the 「Bad While Lodging! Lifestyle Election!」, I ranked 「1st」!!! I was given the opportunity to make a speech there. Thanks to Sari-chan’s, I was able to deliver my speech easily. I am moved by Sari’s kindness. Thank you very much. I am grateful! Also, I consulted with Mina-chan, who is the MC, Matchan, who was 2nd, and staff-san, whom I place my trust in, about what I should say in my speech! Thanks to that, I was able to see the smiles of the fan and the smiles of the other members. Also, Jurina-san, who was watching from behind, was laughing a lot and it made me very happy to see that. Everyone in SKE was laughing at Tani’s story; just that makes me happy! I love to see everyone’s smiles. After my speech, the members who watched said 「I watched Tani’s speech! It lifted my spirits」. Hearing members say that made me so happy that I wanted to cry. The current Tani that energizes everyone, I’ll do my best to keep it up. I copy and pasted it! I will never forget being able to be on yesterday’s stage! To all of Tani’s fans who voted for Tani Marika, let me say it once again, thank you very much. I am grateful. And starting from today, we are accepting applications to attend Igai ni Mango’s Handshake Event! Tani Marika will have 2 sections. I have also wrote this on the official blog and Mobile Mail, but it is sad that the time I get to meet with fans will be shorter T_T Because the Handshake Event is the one place where we get to meet and talk closely,, I honestly don’t want to miss the chance to meet with everyone. However, I have come to terms with the result! Tani wants to speak a lot with everyone! Lastly are the pictures I took recently Bababa–n! I’m gonna read the comments 〜(^o^)/ “Like”!